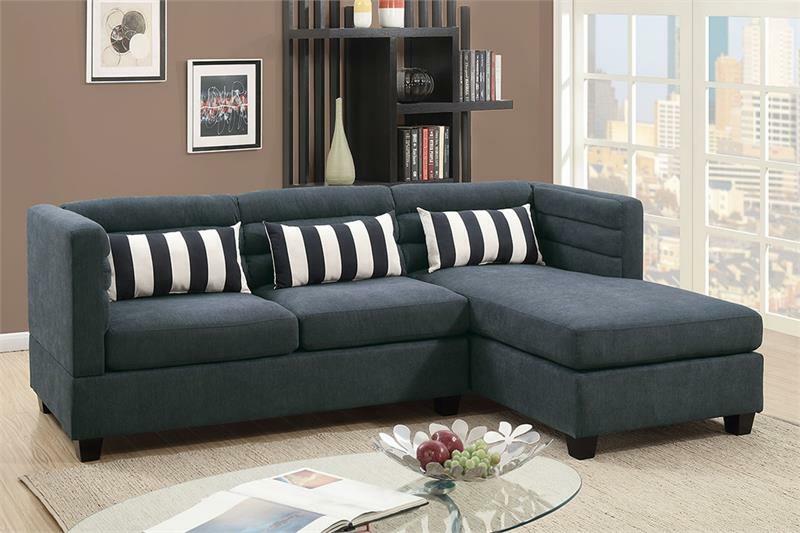 Make statement with this vibrant 2-piece sectional sofa and reversible chaise. 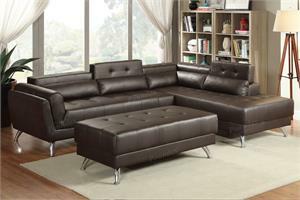 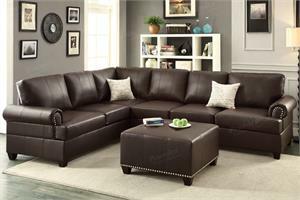 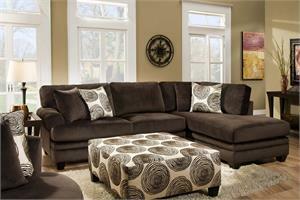 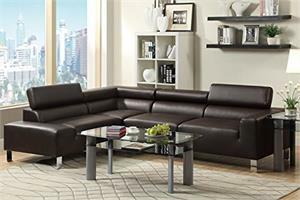 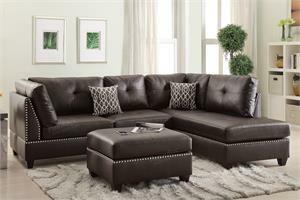 The low back support features a tri-bar accent tufting with vertical stripped accent pillows. 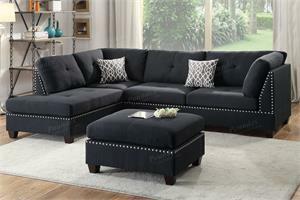 Available in slate, hydra blue, or taupe velveteen fabric.